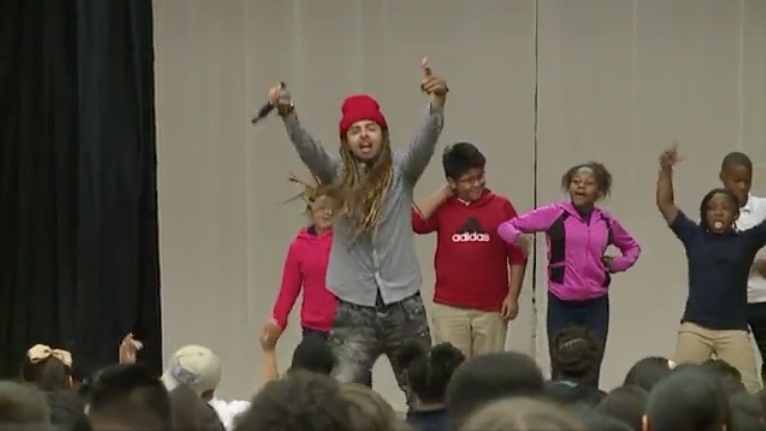 Dee-1, a rapper who went viral with his song about paying off his student loans, visited Charles A. Gill Elementary School to talk with students about financial literacy in a fun and engaging way. Dee-1 has partnered with Price Waterhouse Coopers to bring his message of financial literacy across the country. Go here to see a story from CW 33 on the rapper’s visit to Gill Elementary.